Zonitoides limatulus, the Dull Gloss Snail, is an air-breathing gastropod found in a wide area of the United States, including several counties in Wisconsin. Unfortunately, published research concerning this snail is scarce, and it is difficult to find a source with an abundance of information on this species. The purpose of my website is to provide a compilation of facts to help appreciate this little-known invertebrate. I’ve also included information describing similar species within the genus Zonitoides, as well as some general facts about land snails that may help with understanding this intriguing creature. The above photo is courtesy of Jeffrey Nekola and Matt Kuchta. 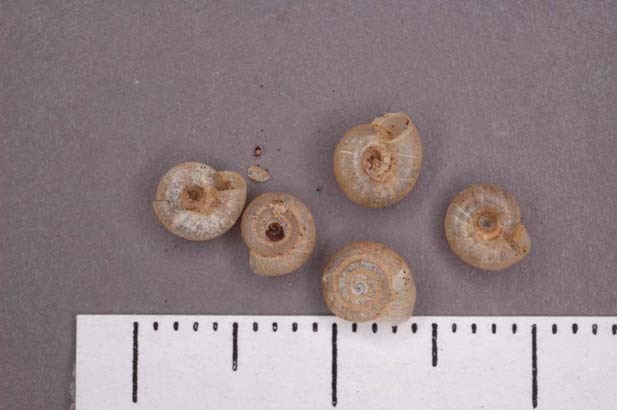 It can be accessed at Wisconsin Land Snails, along with an abundant list of other land snails found in the region. To start learning about Zonitoides limatulus, you may want to begin with its Classification. This website is a production of the University of Wisconsin-La Crosse. You can find more student-created websites on more fascinating animals at MultipleOrganisms.net.